Citrus roasted chicken is moist, flavorful, and delicious! This meal can be prepped in minutes and is made with the simplest of ingredients. Lately much of my recipe testing and dinner cooking has been done either before naps or during nap time. I know it seems crazy to cook dinner at 10am, but if you’ve ever been in my house once 5pm hits you KNOW it’s even crazier. Lily has been wanting to eat around 5pm, which result in a bath for her around 5:30pm. The rest of us eat about 6pm, and then the boys get a bath around 6:30pm. After that, it’s bedtime for Ms. Lily. As I’m sure you’ve guessed, there’s not much of a window for cooking between the 5-6pm mark like there was before baby, so I’ve had to make do with early prep and cooking! And of course, meals that reheat well. And that’s exactly how and why I came up with this citrus roasted chicken dish! That and the fact we’ve been hit with a never-ending winter plague, so I knew my family could benefit from all the vitamin C in the oranges and lemons. Chicken thighs are juicier [aka fattier- not by much] than chicken breasts, so they hold up really well in a reheated chicken dinner. The marinade for this dish is SO fresh and tasty, that you can’t even tell it’s a cook twice and dine once kind of meal. Just don’t forget the zest; the zest of both the orange and lemon make a world of difference in flavor! Serve alongside some brown rice and steamed green beans, and I had some happy toddlers… despite what the 5pm Serbinski meltdown proved to be that night! 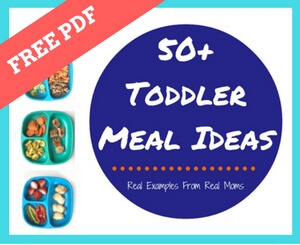 I know I’m not the only one juggling baby and toddler feeding schedules at the end of the day, so I hope you find this meal just as useful and convenient as I do. And I hope you get LOTS of rest post bedtime! You deserve it momma! [Can you tell I’m talking to myself here…?!]. Preheat oven to 400 degrees. Add chicken to large baking dish. Combine remaining ingredients in mixing bowl. Whisk until combined. Pour over chicken. Bake at 400 degrees for 1 hour. Serve immediately. You can marinate the chicken in the citrus dressing before baking. The longer the chicken marinates, the more flavorful it will be. You can slice the lemon and orange and place the slices around the chicken before baking. Let’s chat: How do you handle feeding kids at different times during THE most stressful time of the day?! Do you prep and cook your meals ahead of time like I did with this citrus roasted chicken?! Do tell! I grew up in Ukraine. My grandma was a doctor starting her shift at 3pm. She was the main cook. She made ALL dinners in the morning. When I. Had babies and toddlers that is what I did too. Even now with blogging I make all dinners around lunch because of kids at school and daylight for pictures. Back then and even now we didn’t use microwaves and everything reheats just fine in the stove or in the oven. 🙂 You definitely need to relax at night, mama. With some wine. This is a challenging time omg lol. It will pass though and turn into never ending driving lol. So that’s what I’ve heard lol! Thank you for all your sage advice my friend!